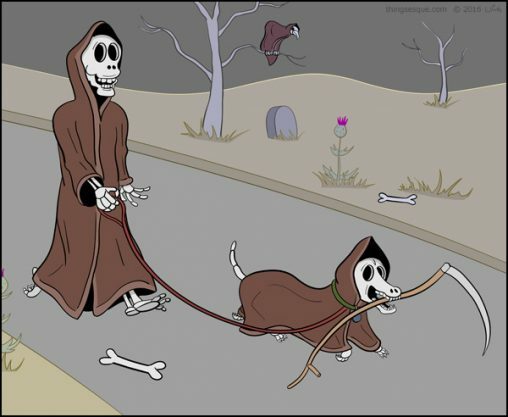 On a gloom-filled wintry day, the Grim Reaper goes for a leisurely stroll through the countryside with Bones, his beloved Golden Staffy Retriever. 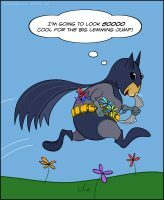 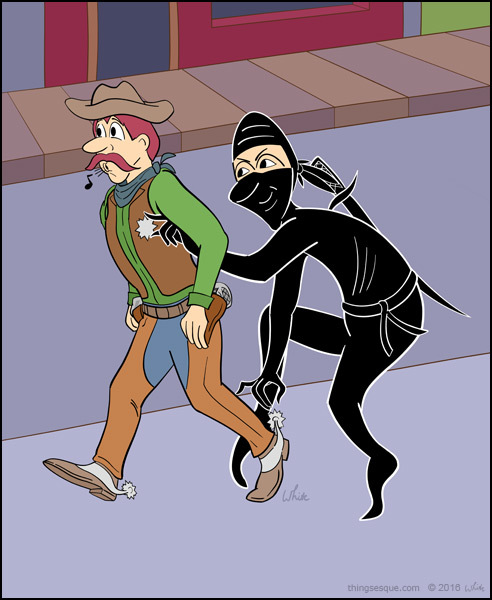 As a sheriff moseys along, a stealthy black ninja, on a quest to find stars for ninja purposes, creeps up behind him and steals his badge and spurs. 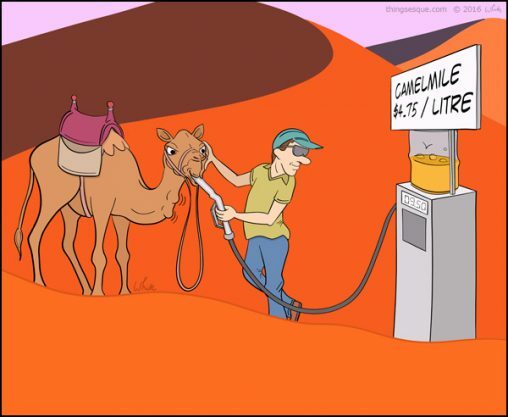 Somewhere in the middle of a desert, a man refuels his thirsty camel.